On Wednesday, Sarah Hendrickson and I finally hung out. Just the two of us and it was just as fun as we suspected. 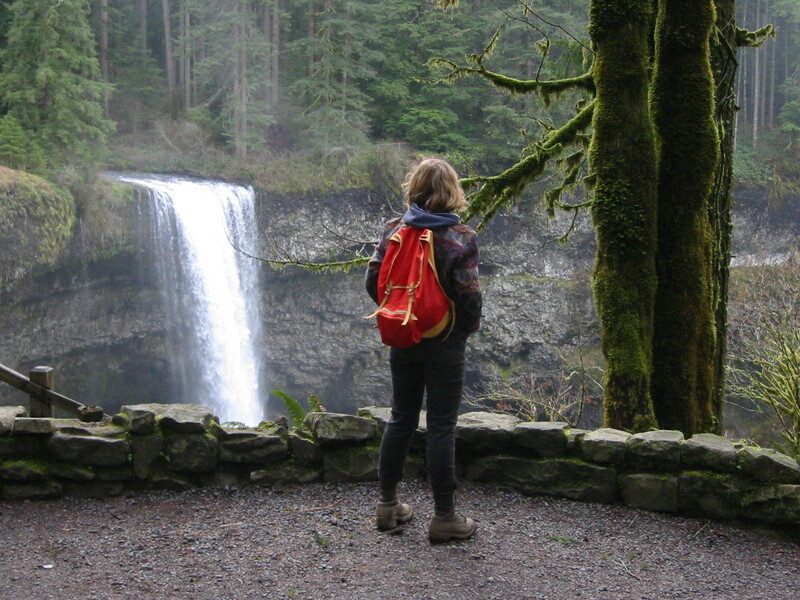 Laced up and packing a ton of food, we hiked Silver Falls: a state park outside of Salem that offers 10 waterfalls in a 9 mile loop. These waterfalls are so full of character! One was a chubby boy, another a decorated, wishful woman. The last one was angry. An angry, violent, ruinous fall that punished repeatedly the boulders below. Barely able to speak over the roar, water spraying our faces, we stood and smiled. It feels good to feel strong.